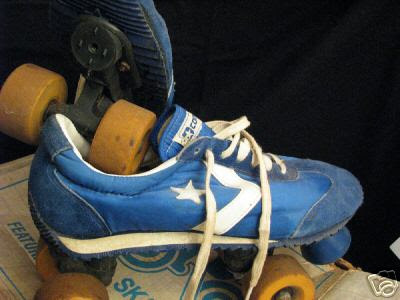 The Converse Blog: The Converse Blog's Friday Flashback: Roll Out! I'll be up front and honest about something, I can't skate. It doesn't matter what kind, skate boarding, ice skating and especially roller skating. I just never really had a desire to learn, but I did try once. All I ended up doing was stepping on my cousin's feet, a lot. I hadn't thought much about that until a recent event brought back the memories. I won't bore you all with the details, but it was one of those "wanna get away moments." The only problem was that I couldn't get away, and I am not sure I really would have. Alright before this spirals too far away from what this blog covers, I had better get to the point. 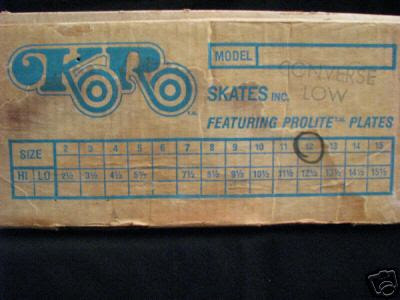 If I would have had these skates that night, I probably would have tried to learn again. So if you're reading this, and you know who you are, find these in my size and I'll be on the rink. 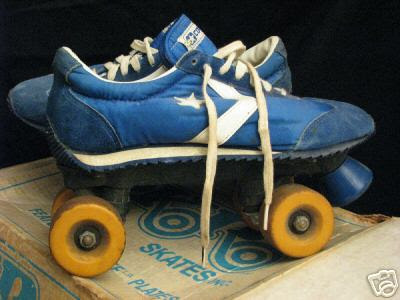 That's right, Converse Skates. 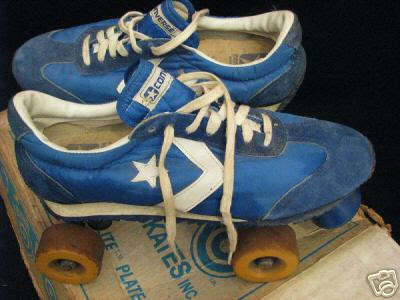 The most re-issued training shoes from Converse, once came with a set of wheels. Now I apologize for the roughness of these kicks, but I just couldn't pass up the chance to bring you all something unique. 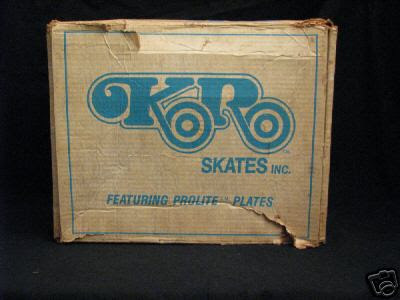 As you can see below, these were produced by KR skates, which I assume made all kinds of sneaker skates, but I couldn't find much about the company. Well, that will do it for today. Go do something you've never done this weekend, who knows you may love it. Thanks for checking out the blog, keep spreading the word about The Converse Blog!